Dana Gioia was invited to campus Thursday evening to read from his collection Pity the Beautiful, which he waited 11 years to publish. 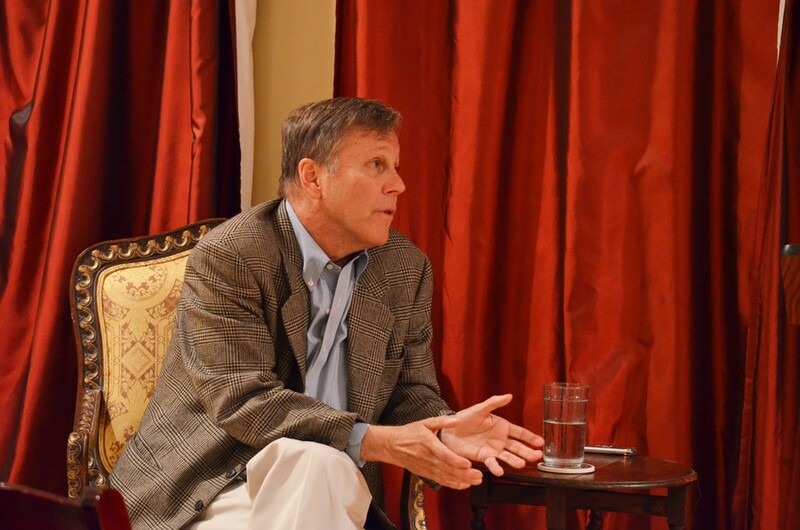 Dana Gioia has visited the city of Chicago more than 70 times, but had not set gaze on the University until Wednesday night. “It is an astonishingly handsome and impressive campus,” he noted, after a substantial pause. Even compliments such as this one carry a sense of serious intentionality when spoken by Gioia, who for the past two decades has gained international notoriety for his advocacy of arts in today’s culture. This seriousness translates into the content and tone of many of the work’s poems as well, the power of many being in their bare expressions of trauma and spiritual suffering. “There is a great deal more emotional directness in this book,” which Gioia believes distinguishes it from his previous work. Many of the poems portray a haunted narrator—haunted in separate poems by a woman, or a son, or God, or his own memories. In addition to writing poetry, Gioia has spent much of the last two decades advocating for the arts and poetry on the national and international stage, raising awareness to their diminished recognition in modern society. Despite the obstacles the poetic medium faces to be restored to its once central place in American culture, Gioia sees the opportunity for a new receptiveness to the medium in the new generation. “Your generation is the first in more than a century for whom poetry has had a formative influence. I’m talking about hip-hop. You have heard, from early adolescence, literary language shaped for expressive effect.” In the rise of rap and spoken word performance, Gioia sees an opportunity for poetry to be embraced in forms and on levels that previous generations could not offer.